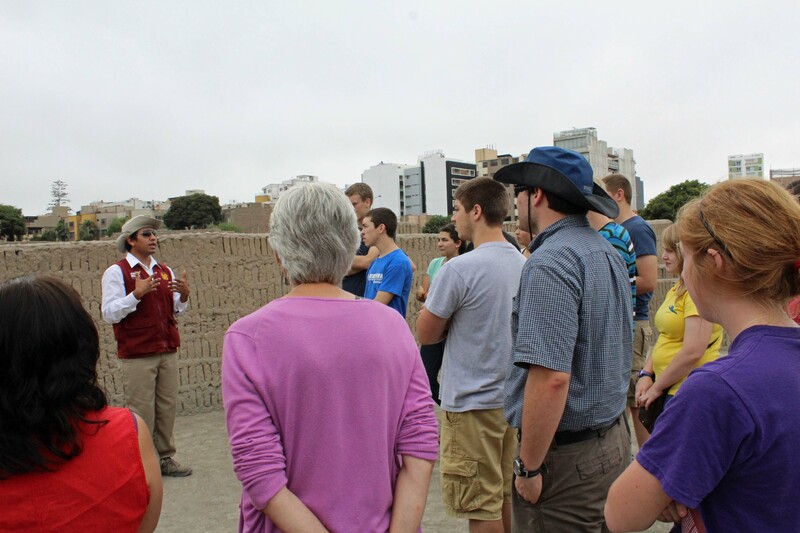 Students continued their journey through Peru’s past with a visit to Huaca Pucllana, an administrative and religious center of the ancient Lima Culture, which dominated coastal Peru from 200 to 700 A.D. 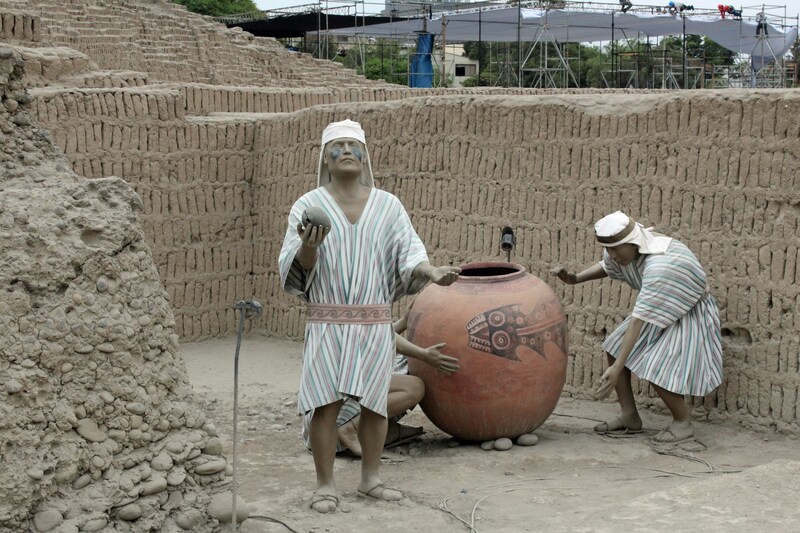 The site, located in the city’s Miraflores district, includes a large reconstructed pyramid of clay and adobe bricks, and surrounding structures as well as figures representing those who worked and worshipped here. 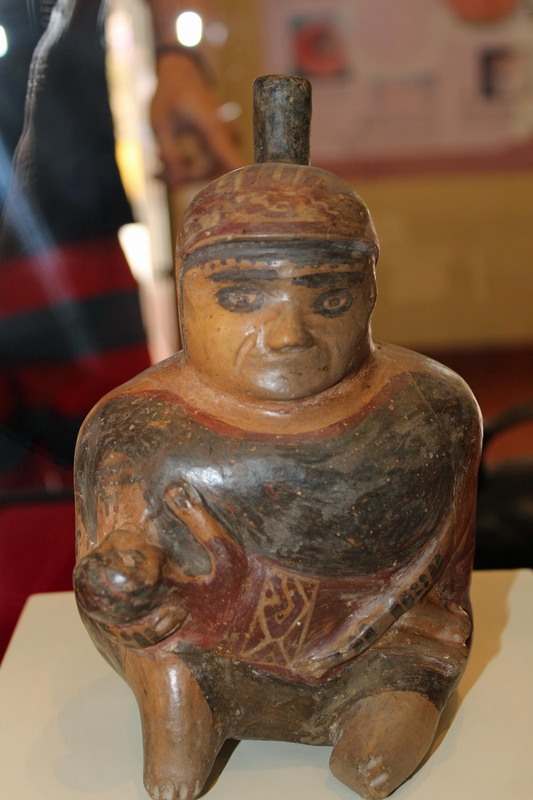 A small museum includes ceramics and textiles and explanations of the significance and contributions of the Lima culture. 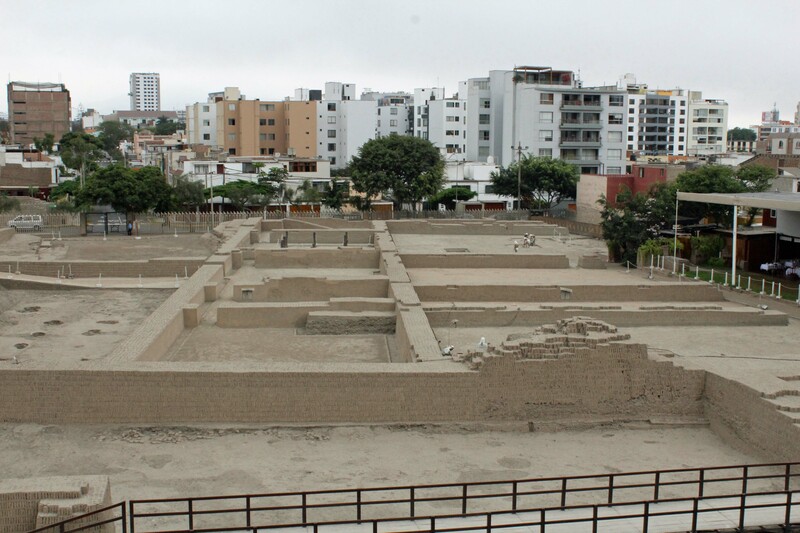 Old and new in Lima. 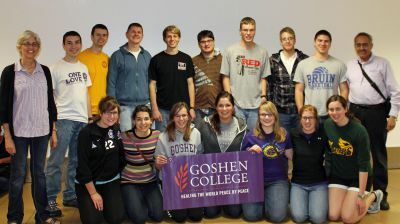 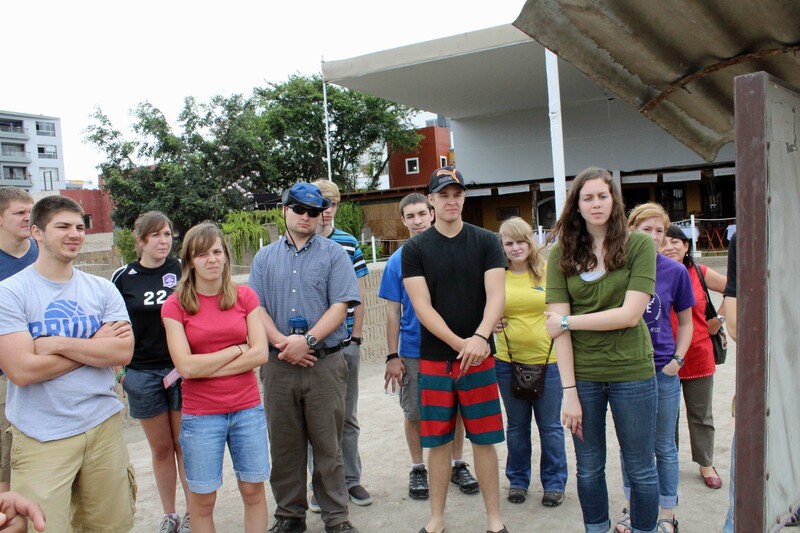 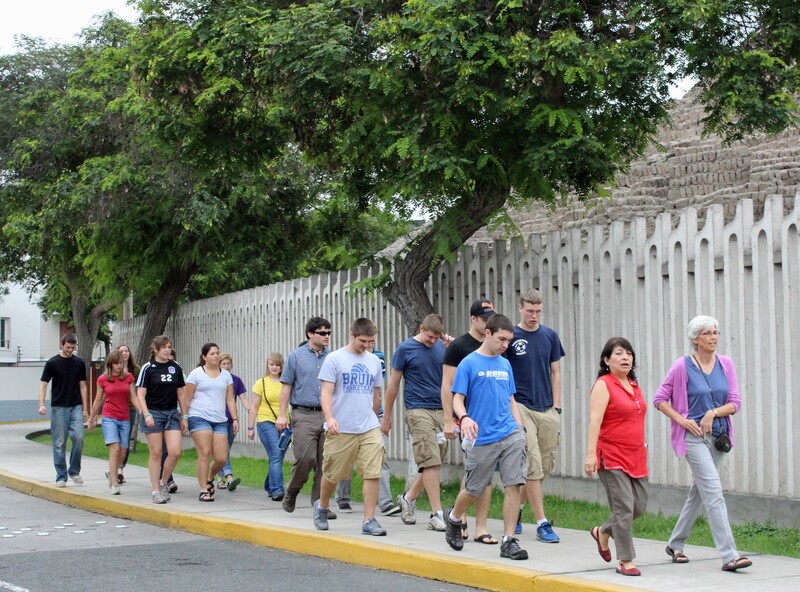 Goshen College students toured the site, which is three blocks from the Anglican Cathedral of the Good Shepherd (Buen Pastor), where lectures and Spanish lessons take place. 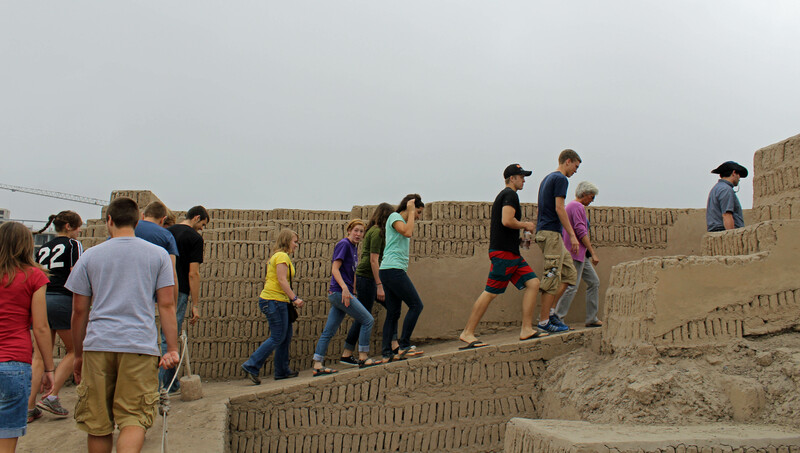 Students learned that Huaca Pucllana was built and used between the years 400 and 700 AD. 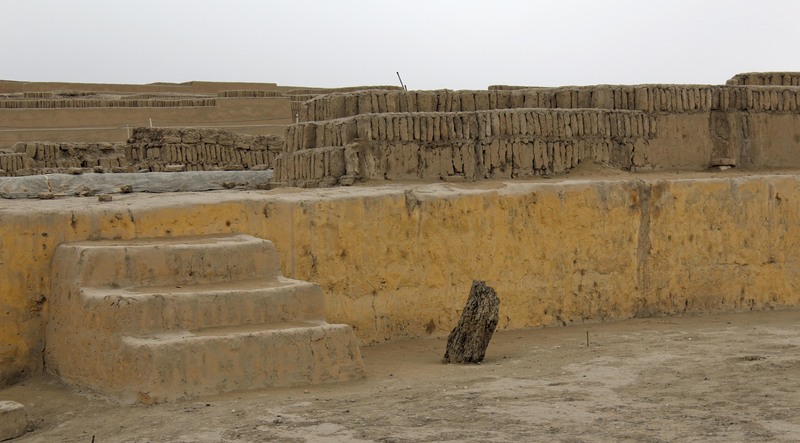 The present six-acre site is only a fraction of a larger complex dedicated to a female divinity associated with the sea and its resources. 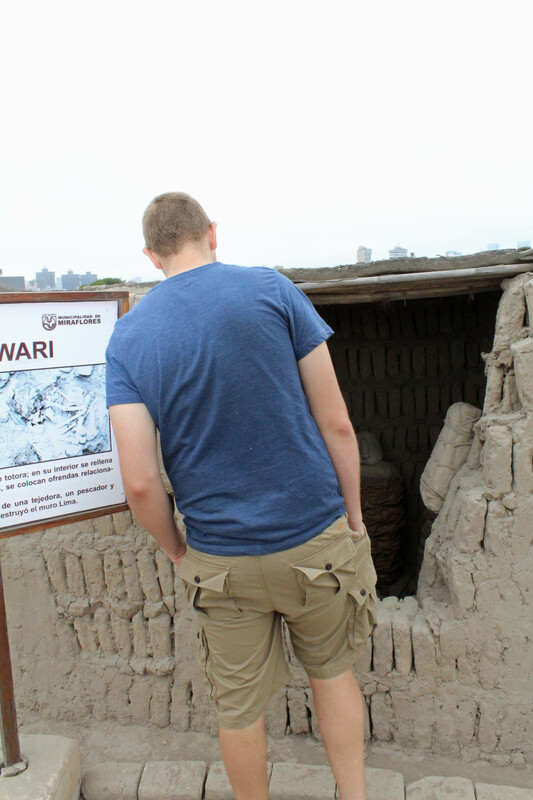 Later, the site was used for burials and other ceremonies by other cultures, including the Wari people. 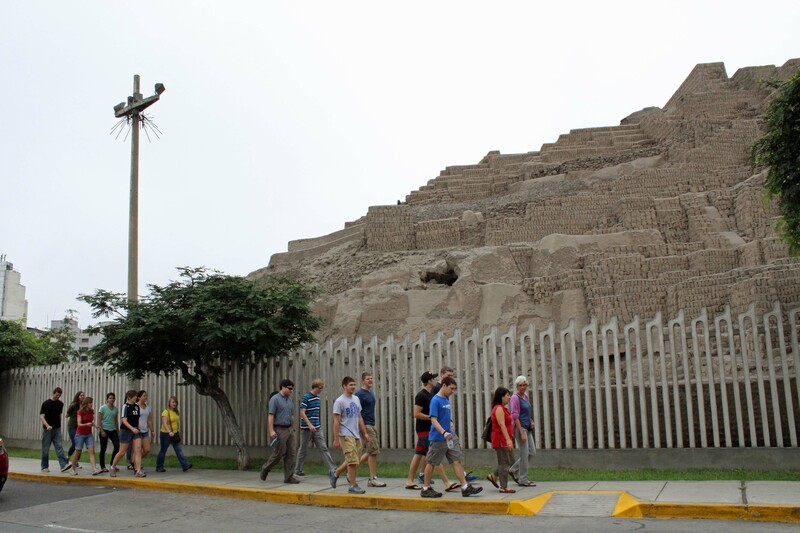 Most visitors to Peru seeking to learn about pre-Columbian civilizations usually head directly to Machu Picchu, the 15th-century Inca refuge which is considered among the greatest artistic, architectural and land use achievements in the world. 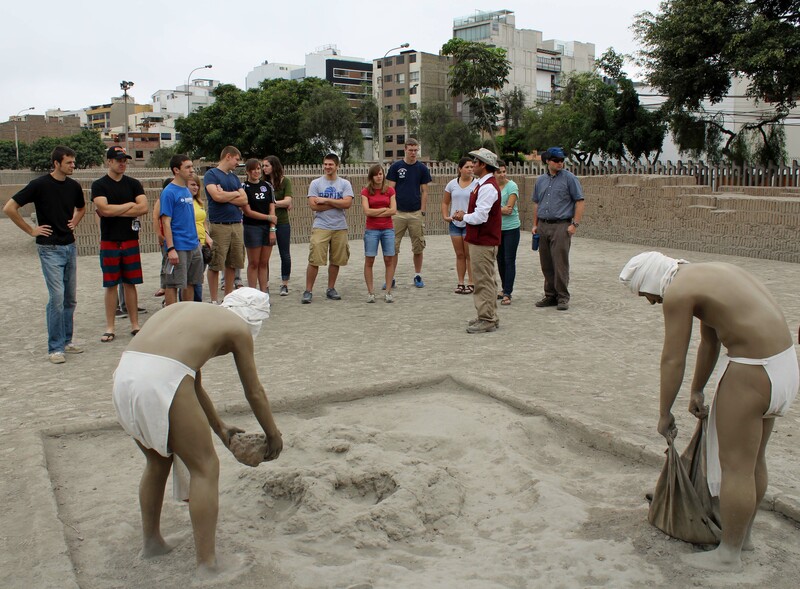 Although no other Peruvian site can match Machu Picchu, Lima also has much to offer visitors about pre-Conquest history. 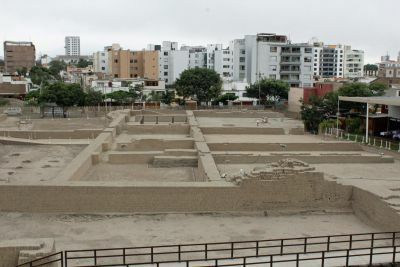 As James Higgins, author of “Lima, A Cultural History,” has pointed out, Lima has some of Peru’s oldest settlements as well as the finest collections of artifacts from indigenous civilizations that flourished long before the Inca. 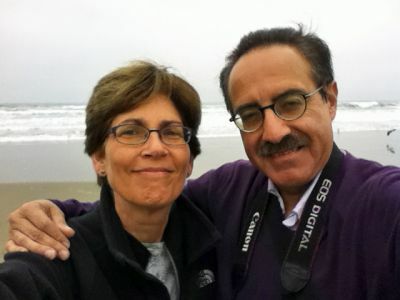 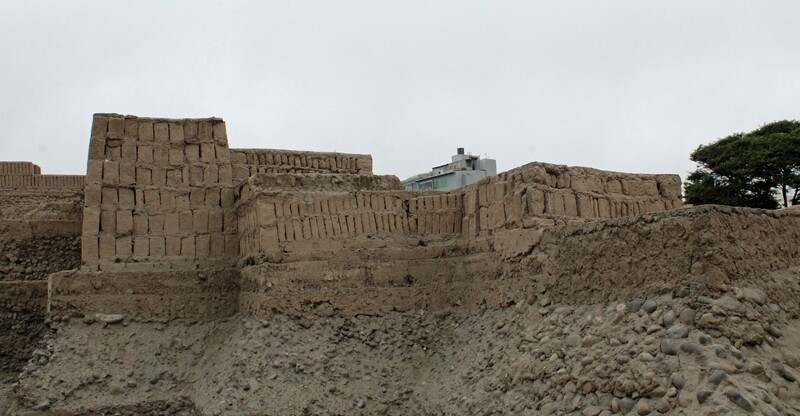 “The history of the Lima area stretches back, in short, to the very origins of civilization in Peru,” Higgins wrote. 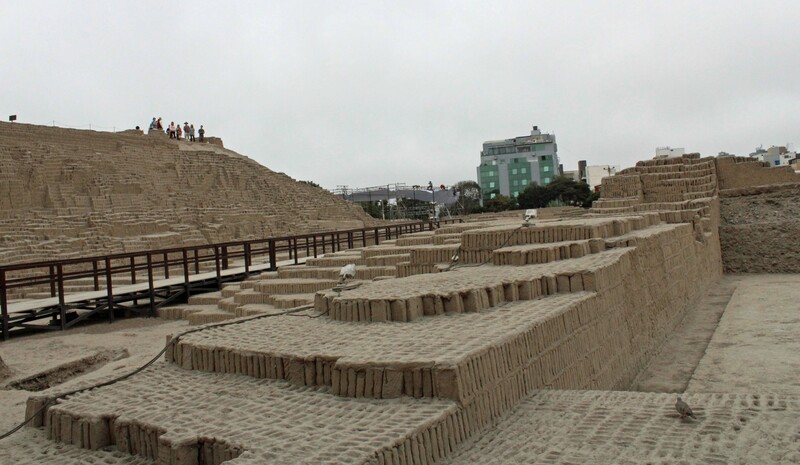 Entrance to Huaca Pucllana in the Miraflores district of Lima. 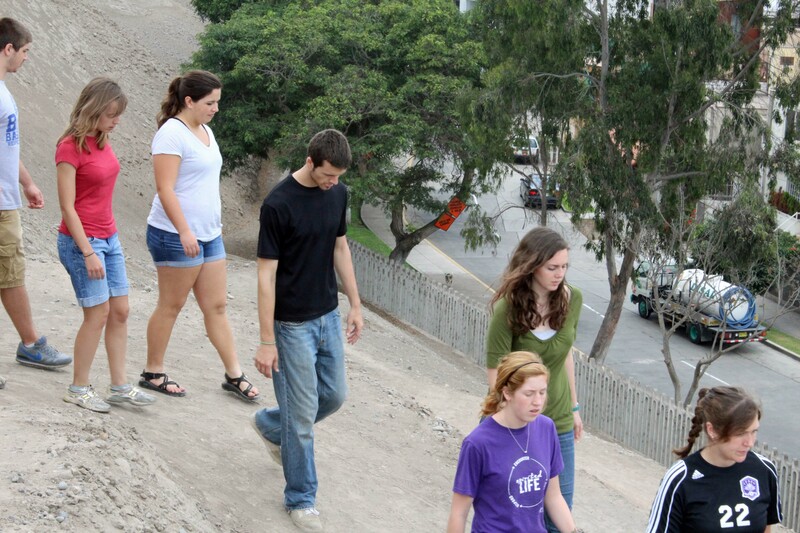 Walking to the Huaca Pucllana. 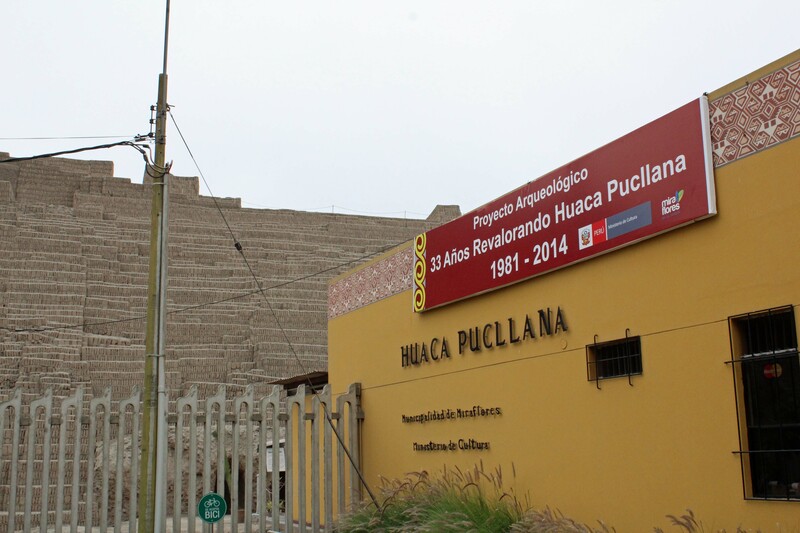 Restoration work at the Huaca Pucllana. 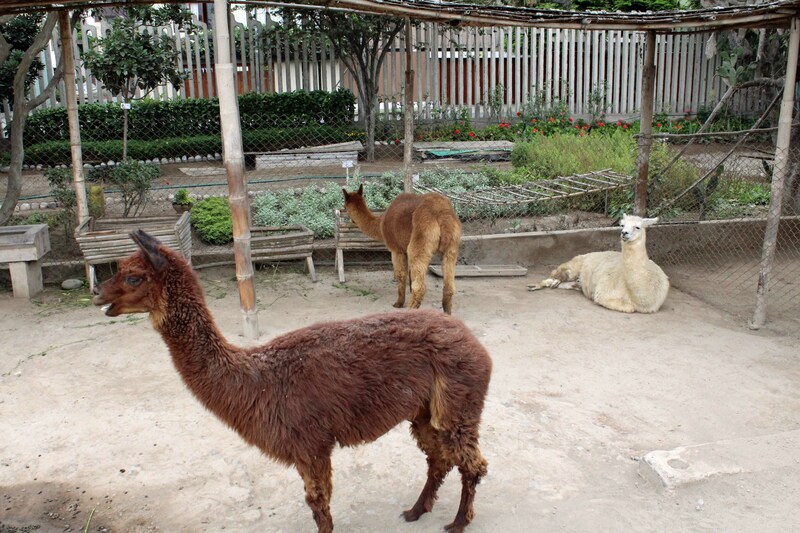 Old and new co-exist in Lima. 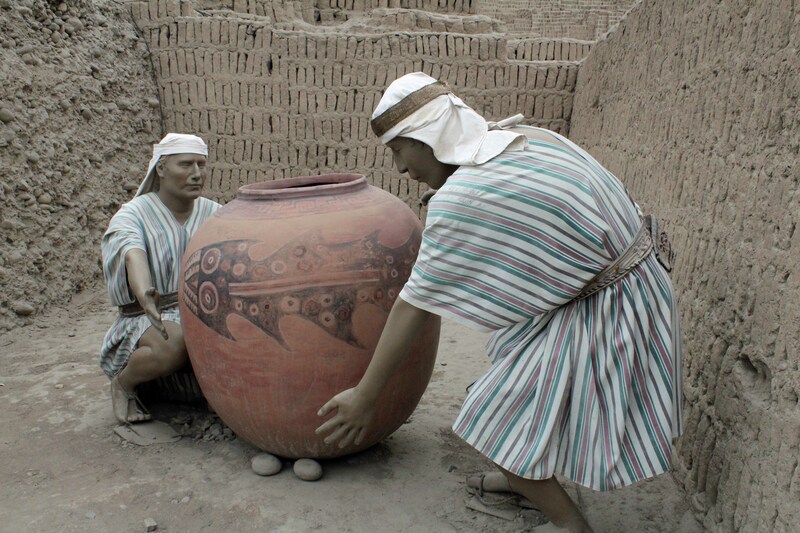 Beautiful pottery was made and then offered as sacrifices by the original inhabitants of the Huaca Pucllana. 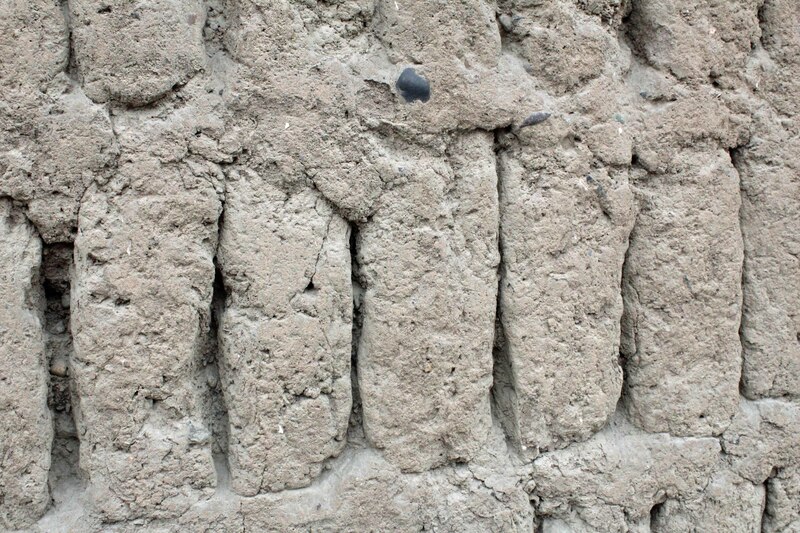 The type of pottery found at the Huaca Pucllana. 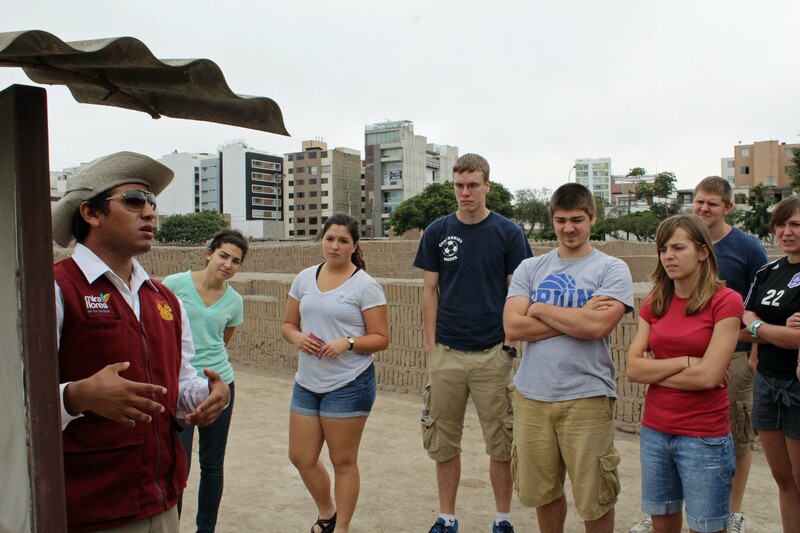 Learning the story of the Huaca Pucllana from a tour guide. 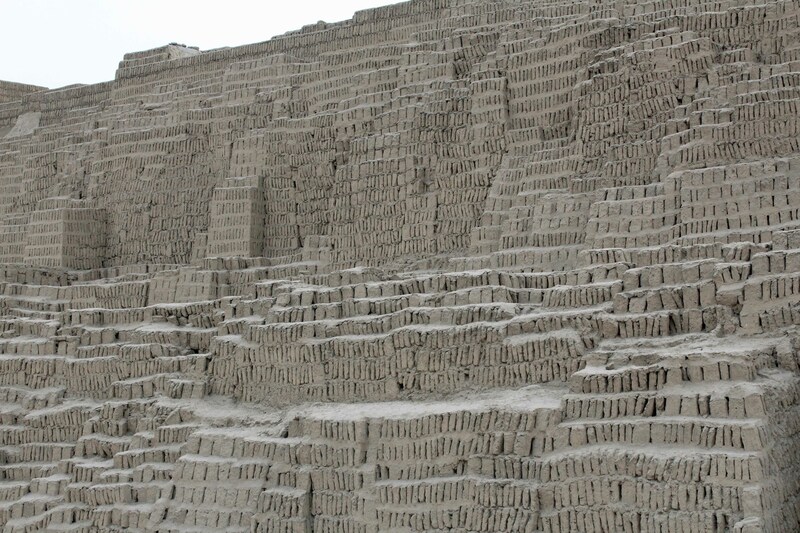 A sturdy wall at the Huaca Pucllana. 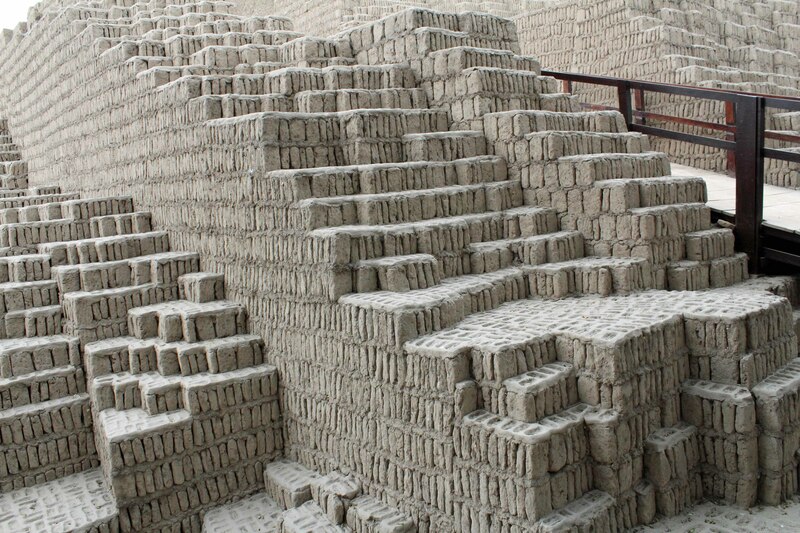 A close-up image of a wall. Students at the Huaca Pucllana. 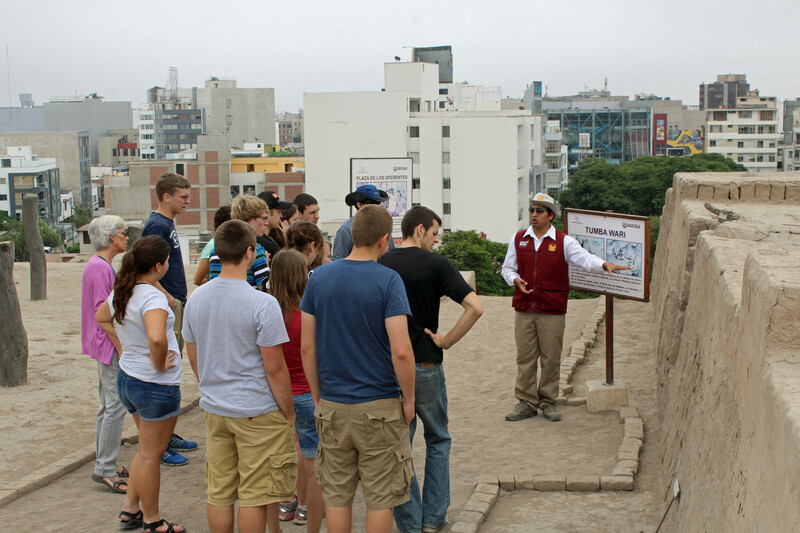 A guide at the Huaca Pucllana. 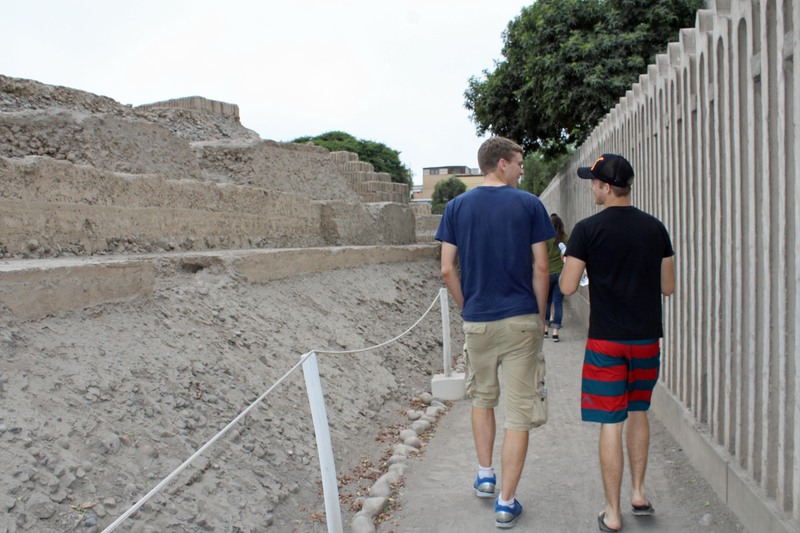 Tom and Derek at the Huaca Pucllana. 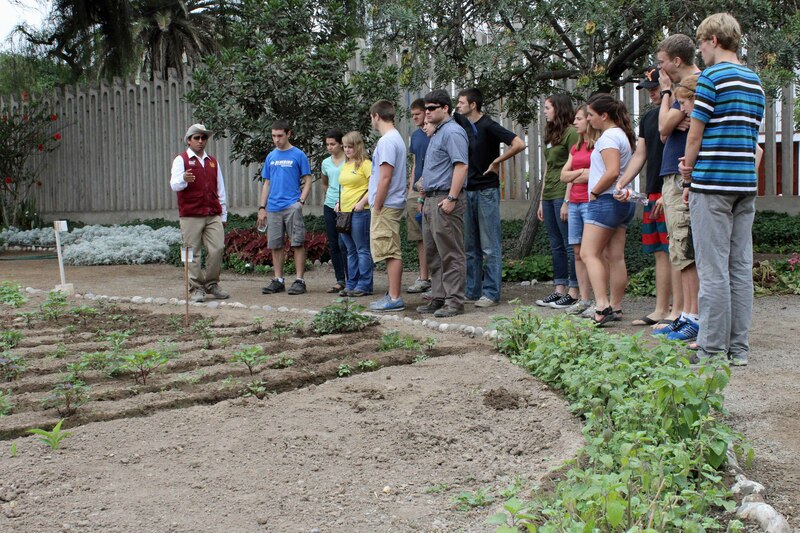 Learning about agricultural techniques at the Huaca Pucllana. 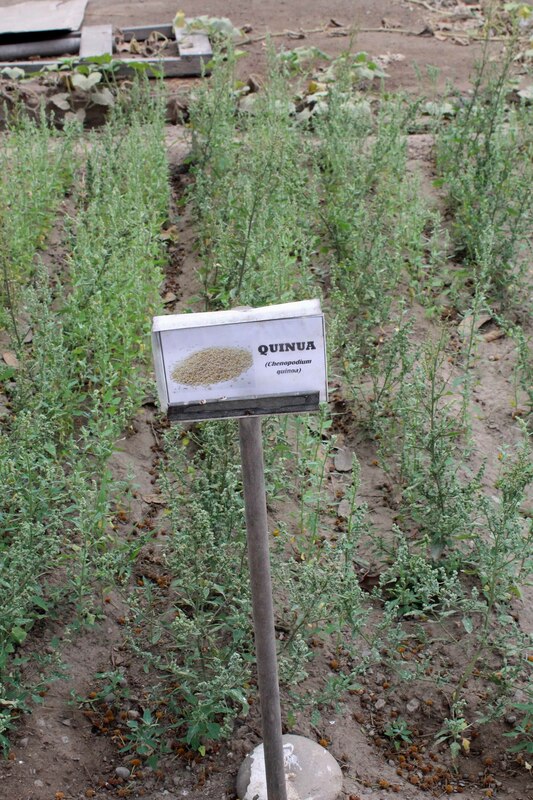 Quinua growing at Huaca Pucllana. 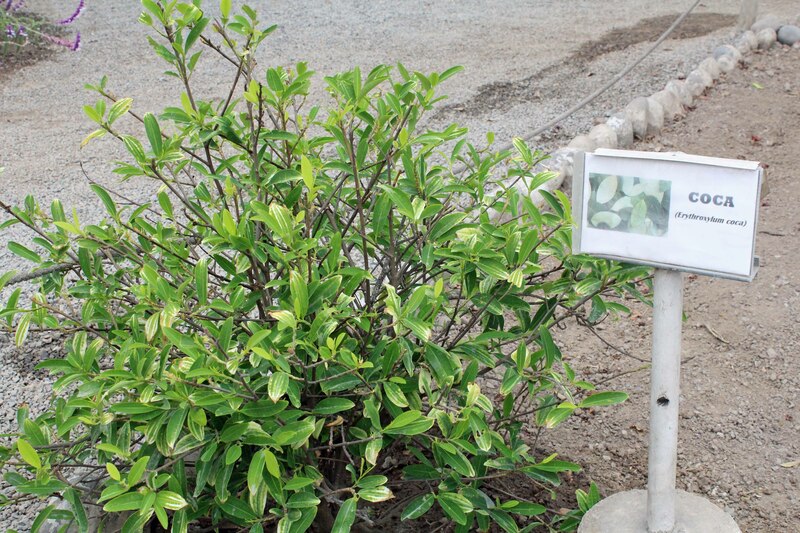 Coca has many medicinal purposes in Peru. 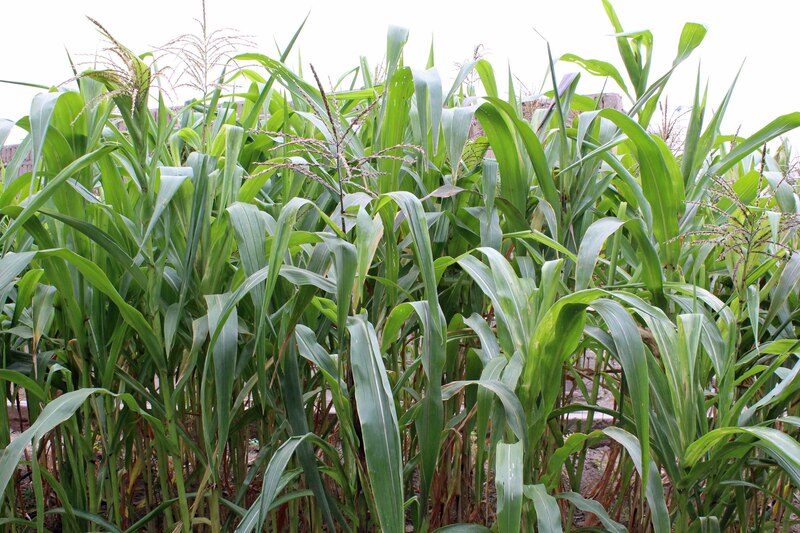 Corn is still an important crop in Peru. 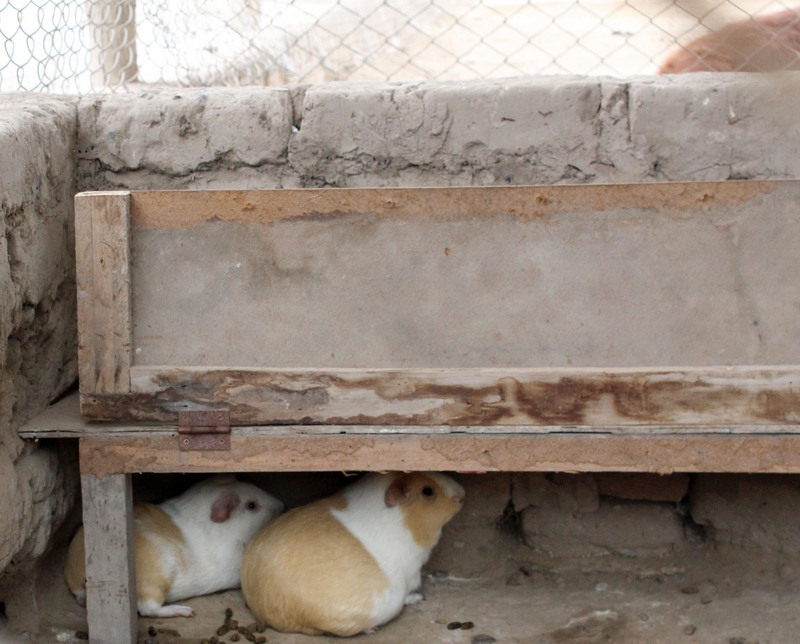 Guinea pigs are known as “cuy” in Peru and are considered a delicacy. 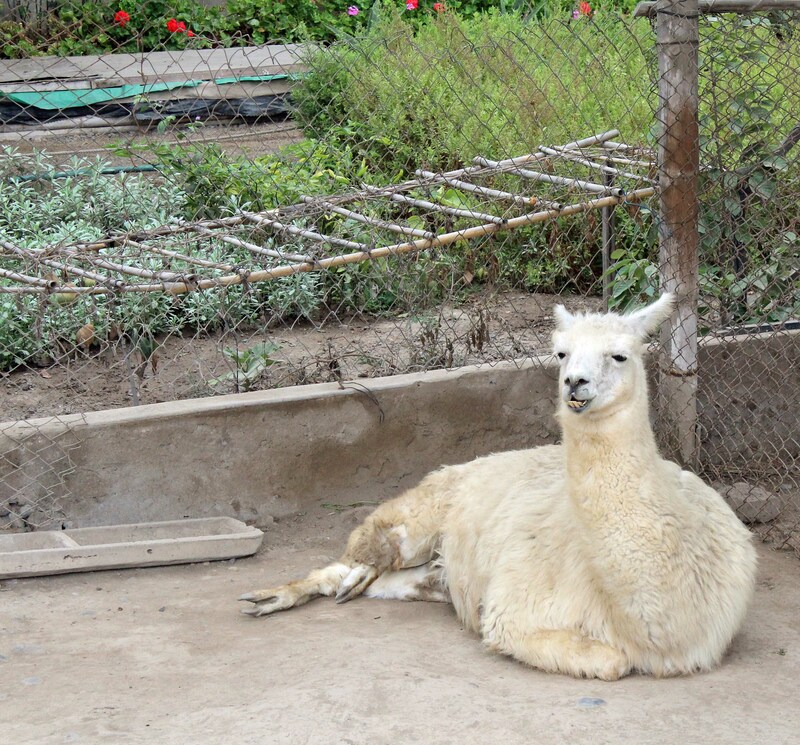 A resting llama at Huaca Pucllana. 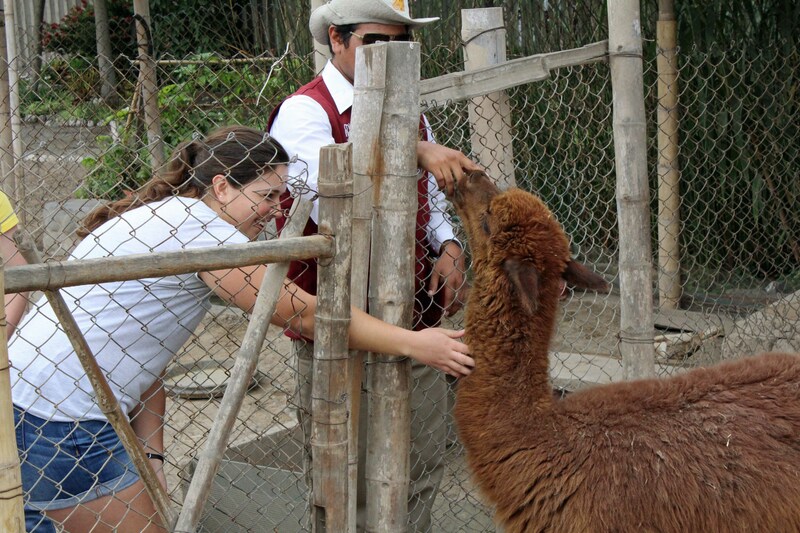 Maria makes a new friend. 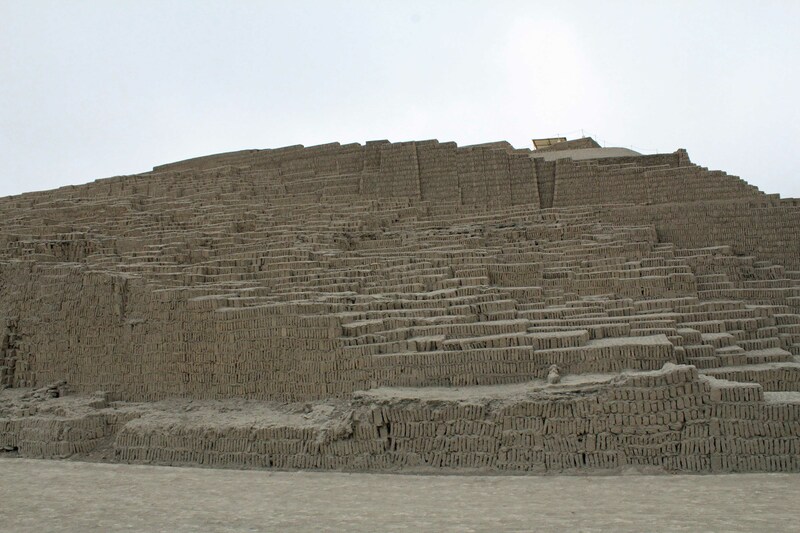 The main pyramid at Huaca Pucllana. 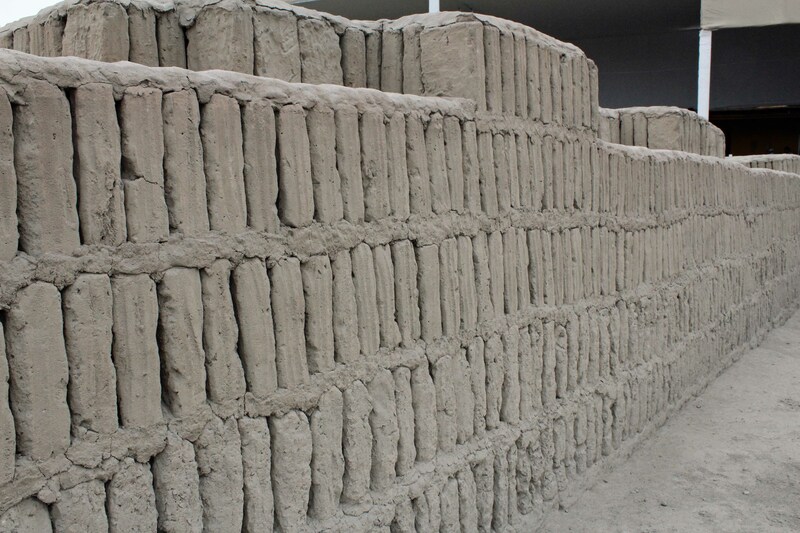 Ancient bricks have stood the test of time. 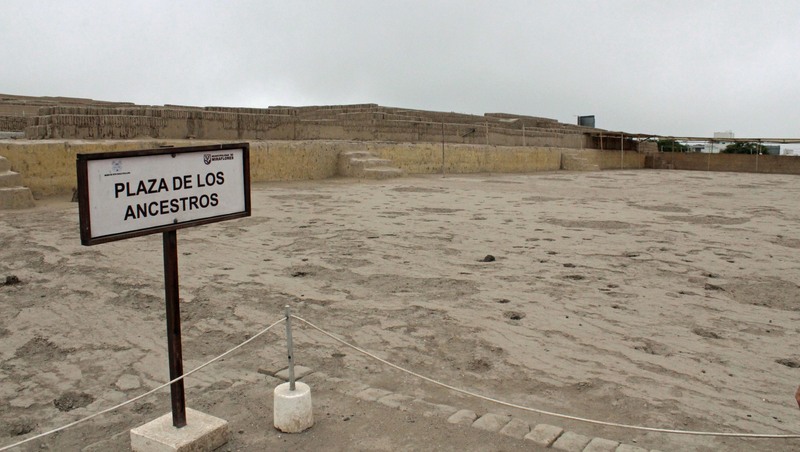 The Plaza of the Ancestors. 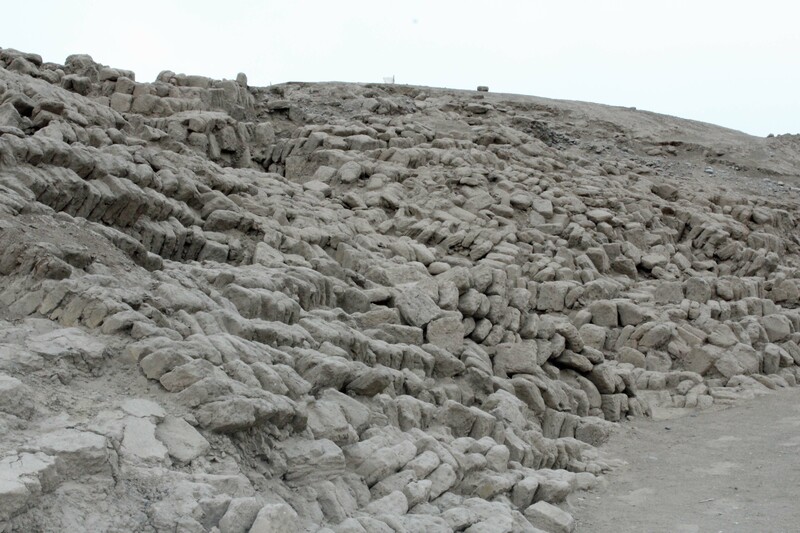 A patch of the original color of the plaza. 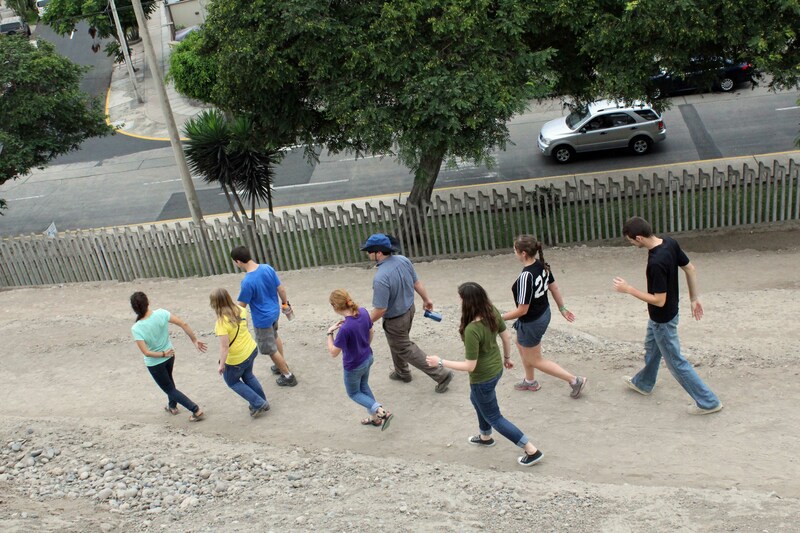 Students climb toward a second plaza of the main pyramid. 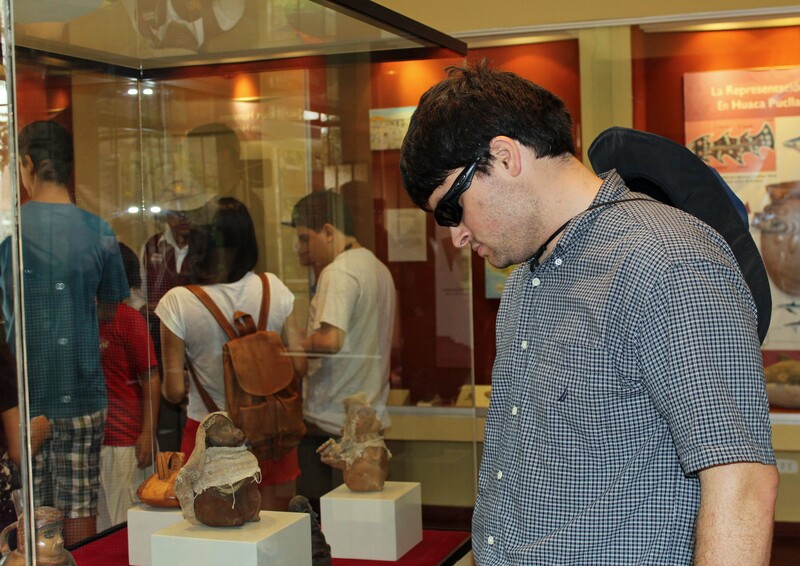 Students learn about tombs found at Huaca Pucllana..
Dean peers into a tomb. 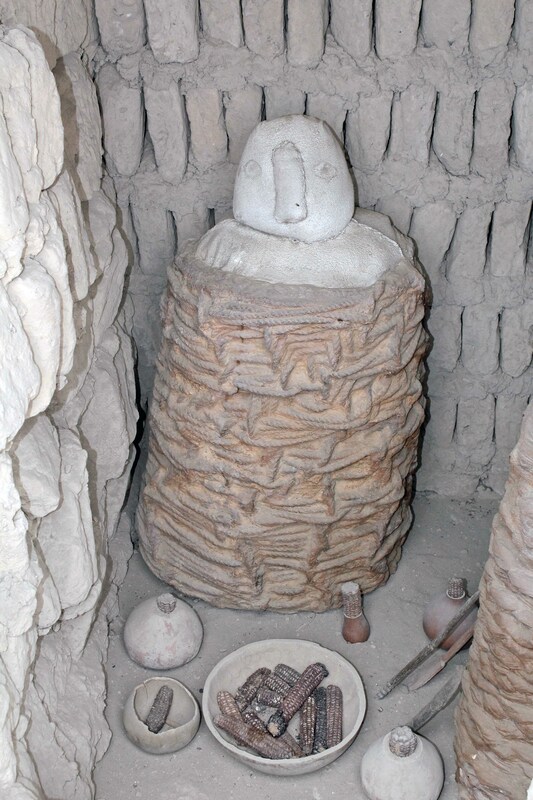 A Wari tomb at the Huaca Pucllana. 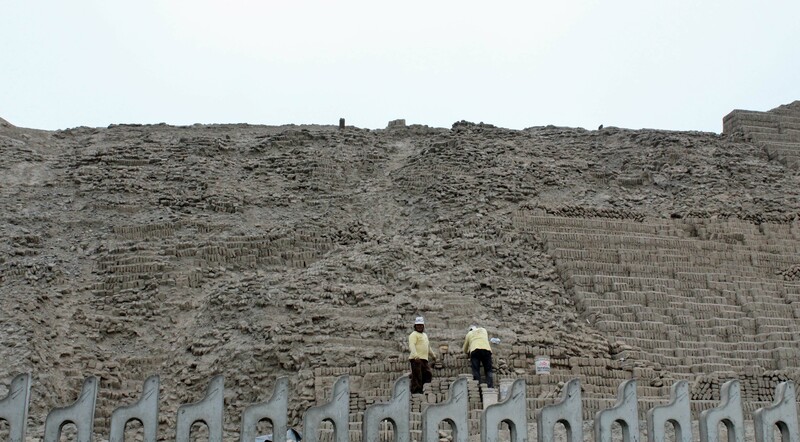 Much restoration work needs to be done at the Huaca Pucllana. 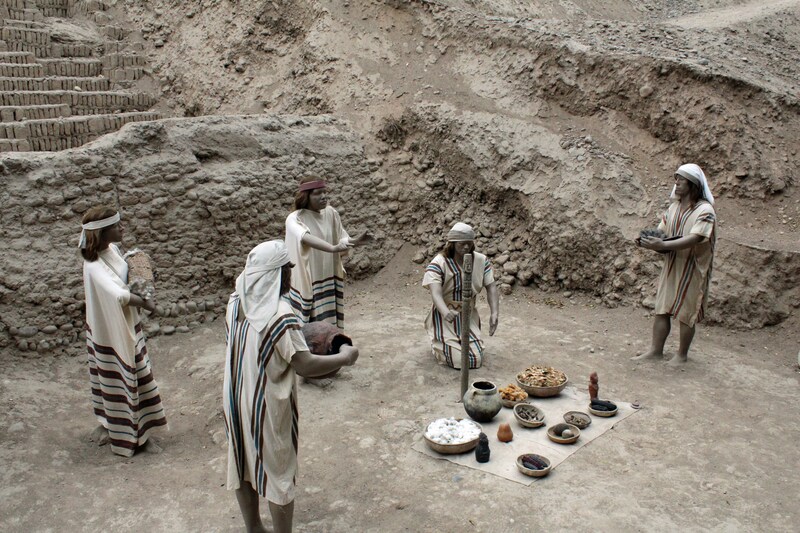 Models are used to depict an offering ceremony. 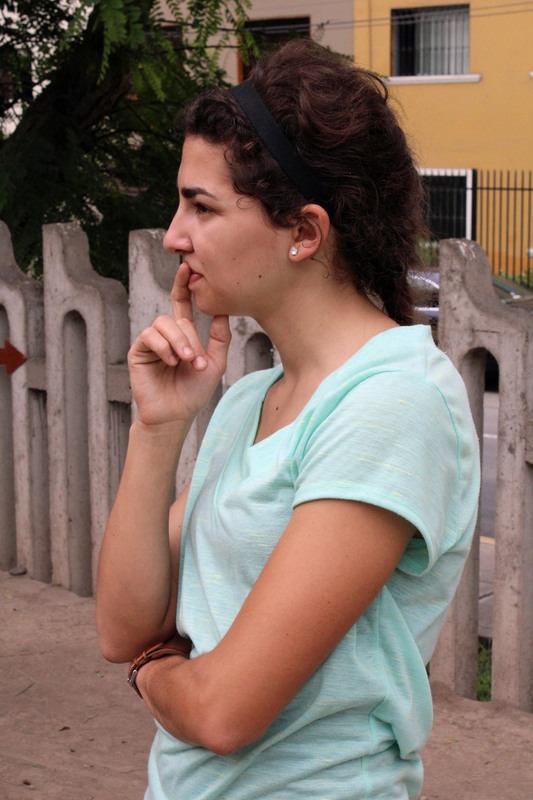 Gretchen listens to a guide. 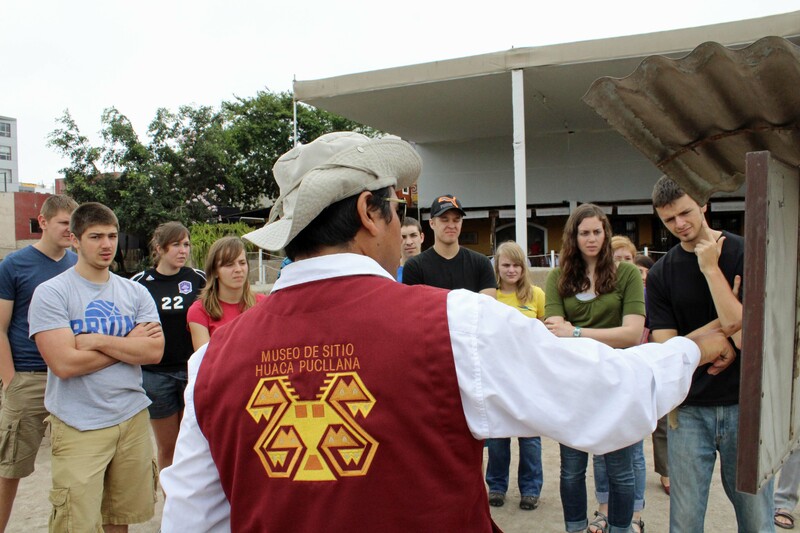 Students learn about ancient practices. 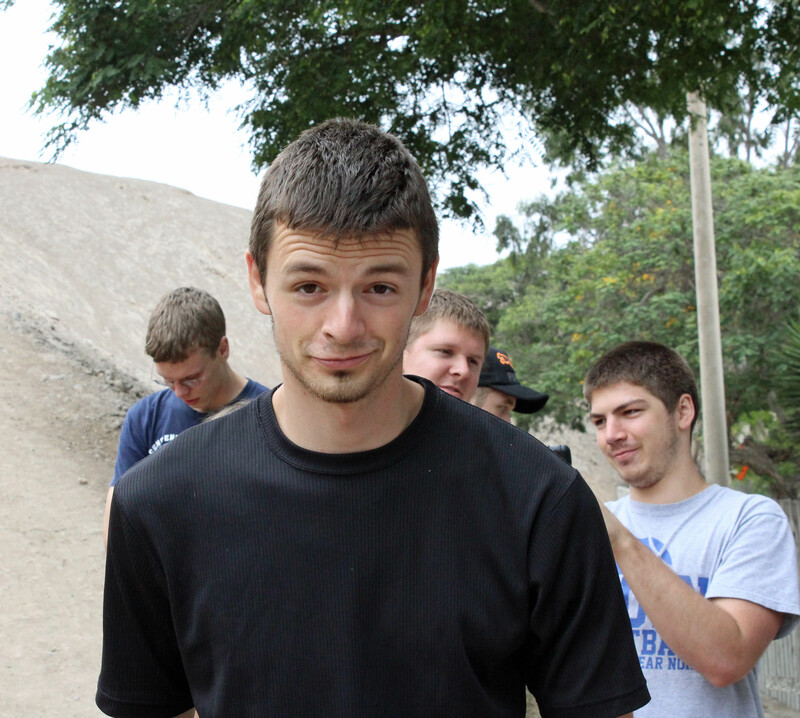 Neal seems bemused by the sudden appearance of a photographer. 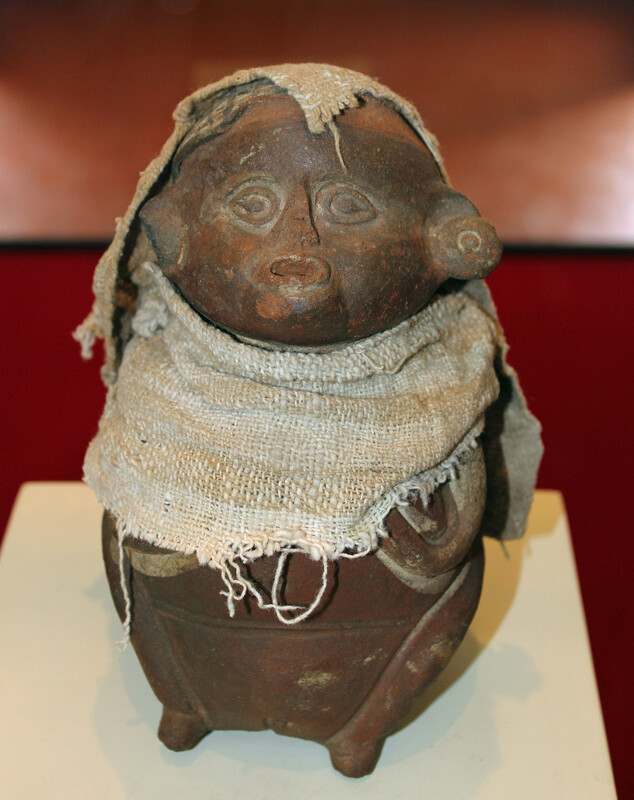 A beautiful pot found at the Huaca Pucllana. 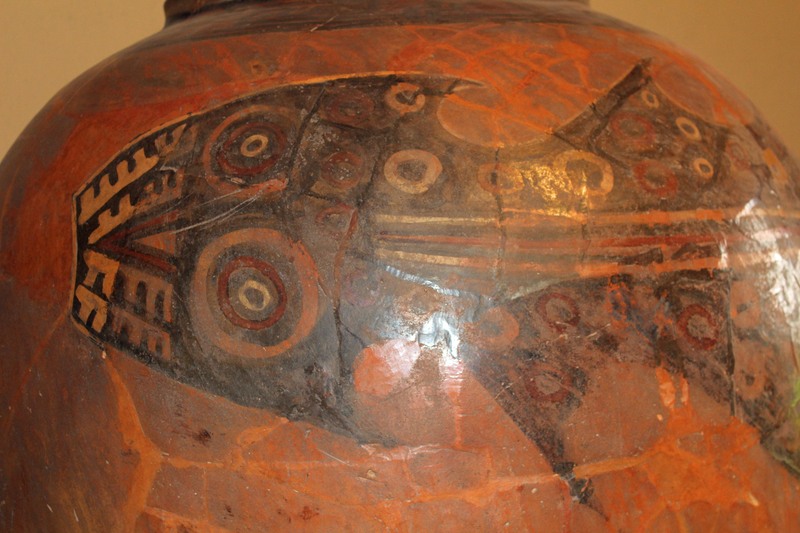 It featured representations of sea lions. 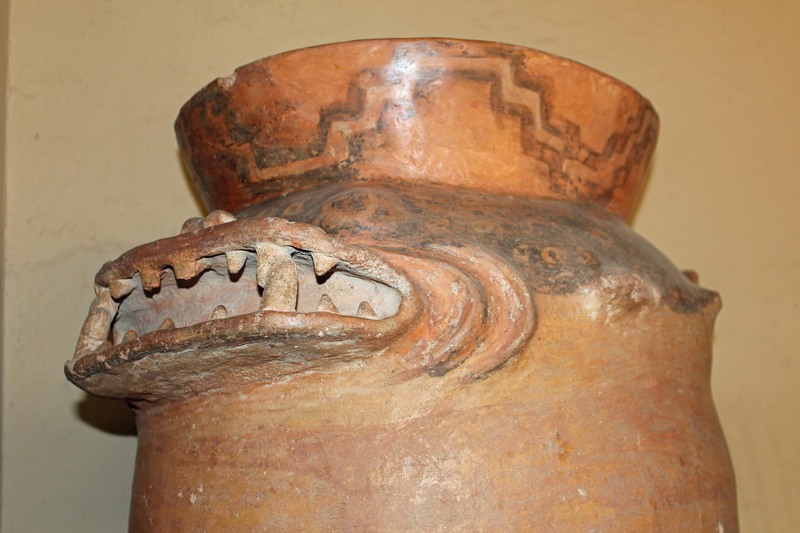 A shark design on a pot found at the Huaca Pucllana. 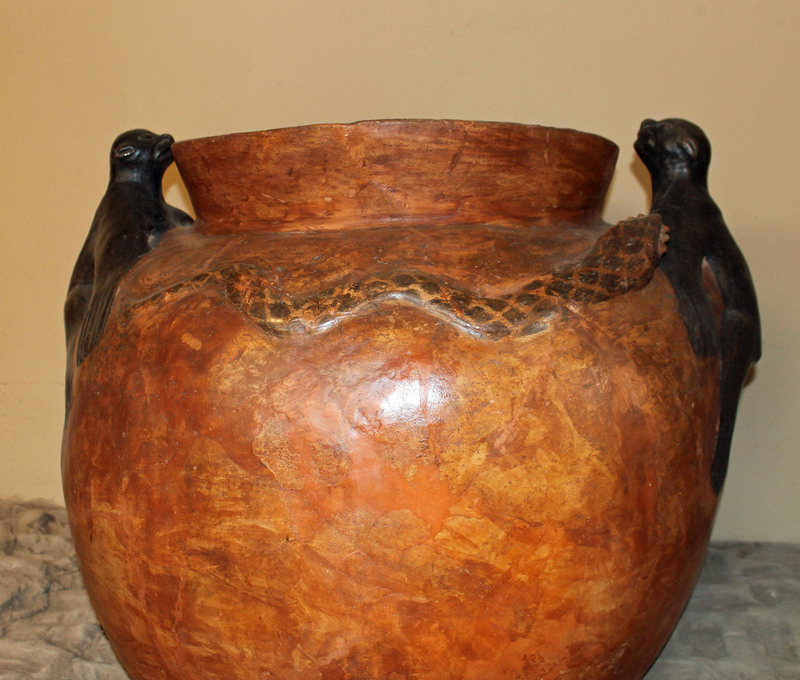 Representations of teeth were incorporated in the design of this pot. 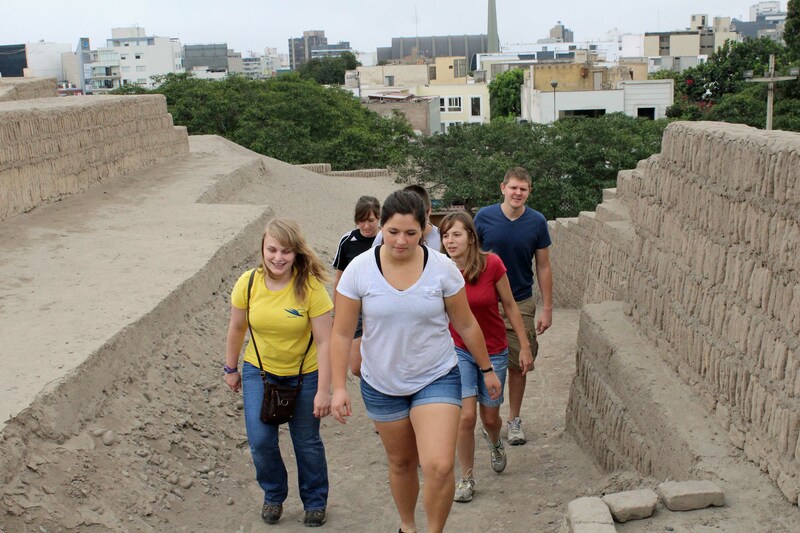 Preparing to leave the Huaca Pucllana after a fascinating visit. 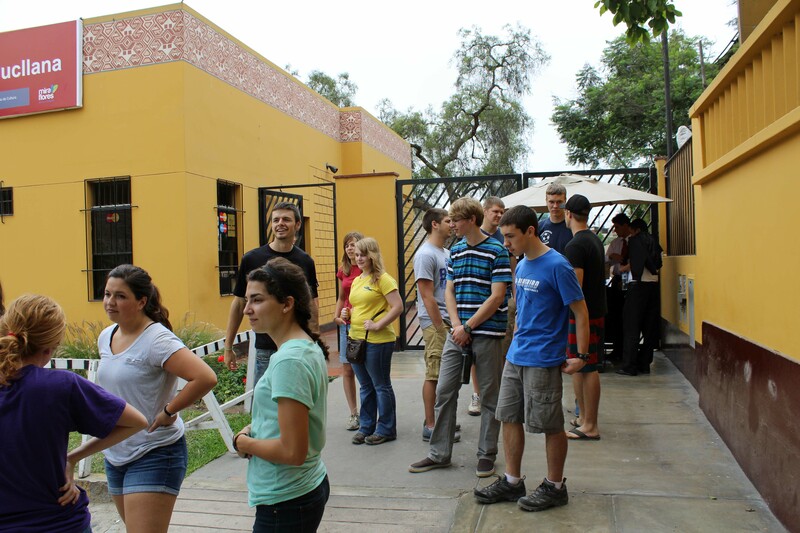 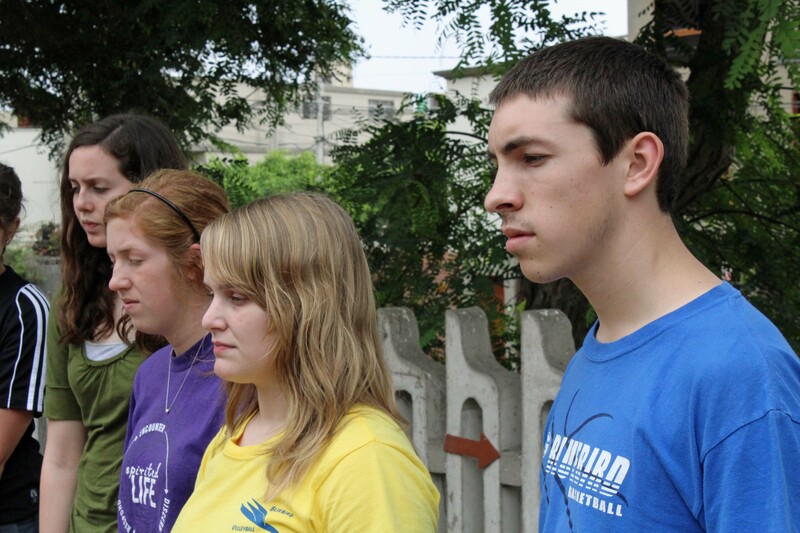 Peru SST: The toughest job we’ll ever love Final reflections from the Fantastic 15 What joy! 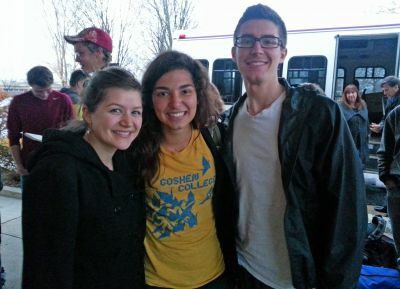 Home again at last!